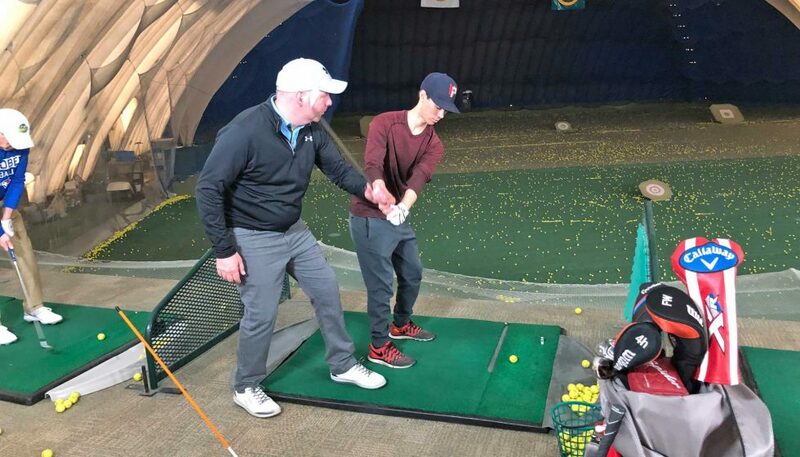 The Markham Golf Dome’s teaching programs stress the importance of learning how to golf. 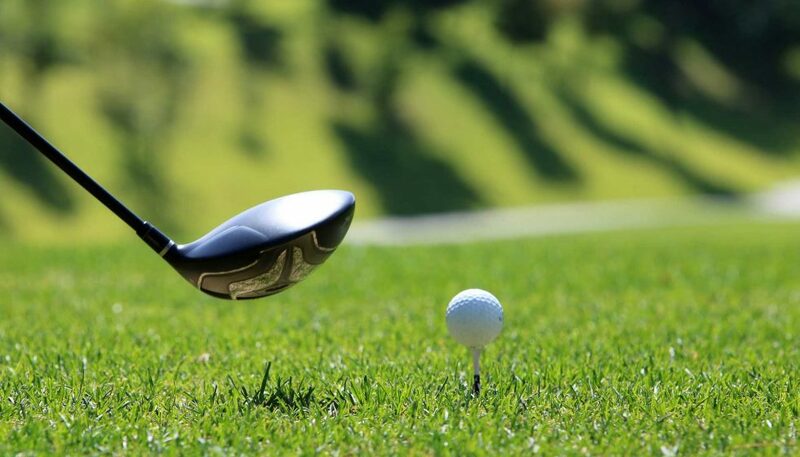 Our professionals will get the most of out of your abilities by teaching and demonstrating the proper techniques necessary to play the great game of golf. Our highly motivated and innovated professionals have met and exceed the requirements set forth by their respective associations which include CPGA, CGTF & USTGF. Their passion for golf, combined with their vast teaching and playing experience make them ideal coaches. Your game will improve as your coaches takes you through very simple and organized programs that include expert video analysis. 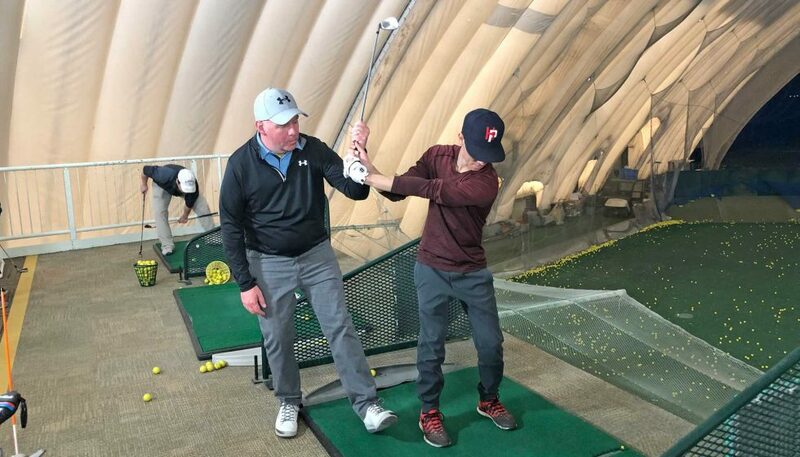 You can rely on our Golf Professionals to help you excel at learning and understanding the fundamentals of the golf swing in an easy and enjoyable environment. Please arrive 15 minutes early for your first lesson appointment. This will allow for enough time for proper registration. Please advise of cancellations 24 hours in advance. Graham is a golf enthusiast with over 15 years experience as a golfing instructor. Graham was introduced to the game at a very early age and was exposed to instruction since his early teens. Graham has apprenticed for some of the top pros in the PGA of Canada and has taught at many first class facilities around the GTA. As a PGA of Canada Professional, Graham has obtained years of training and education to become the highly qualified golf professional he is today. Gary is a Class “A” CPGA Head Teaching Professional and is recognized as one of Ontario’s finest golf instructors. 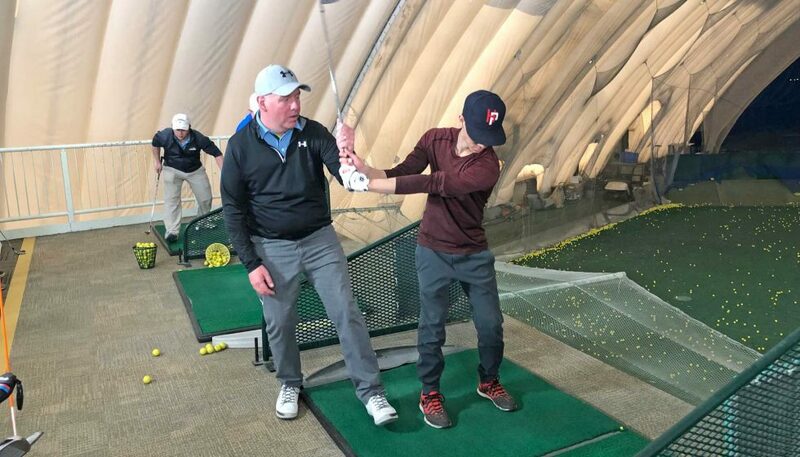 Gary’s natural teaching skills have remained on the cutting edge by working with some of the best instructors in the world, including Jim McLean, Bob Rotella, David Leadbetter, Hank Haney, Jon Sinclair and the Jim Hardy Golf School to name just a few. He has also studied the area of Golf Fitness and Performance. Acquiring a Level 2 Canadian Golf Fitness Certification. Gary has an uncanny ability to quickly and accurately analyze a golf swing and effectively communicate a plan for progress. He believes in building golfers who learn how to “play golf,” as opposed to just learning how to swing. Gary uses the most advanced teaching tools available today, GC Quad Launch Monitor, 4D Motion Sensor System, SP-Instant Slow Motion Video Playback, ES 14 Launch Monitor and 2 iPad Pro’s. go to Gary Kents' Webpage now! Billy focuses on the fundamentals of the golf swing, emphasizing swing effortlessly but effectively. He also works on student course management to improve scoring and truly enjoy the game of golf. Billy speaks Cantonese, Mandarin and English. Although the journey of playing golf began in her 20’s, Clara’s endurance and passion propelled her into becoming an active member of the PGA of Canada in 2015. Now, Clara Cho is an associate professional golf instructor at the Markham Golf Dome. She teaches all age groups; ranging from 3 to 70 years old. Clara is known to specialize in teaching the fundamentals to solidify the grounds for further advancement. For example, proper adjustment of the posture is taught to allow students to understand the bodily kinetics in conjunction with individual muscle groups. Over 20 years playing and teaching golf experience. — CGTF Certified Teaching Pro and USGTF golf management Certificate. — Delivers the best ways to optimize your performance and minimize injury. — Covers every aspect in your game under relaxed atmosphere with exceptional knowledge and enthusiasm. — Promotes not only physical health, but moral force by perfect mix of mordern and traditional swing methods. Rob has been working in the golf industry for over 15 years. His goal is to help his students attain a compact, athletic and repeatable golf swing using the unique abilities of each student. As a former competitive golfer Rob also helps his students score better on the course with improved decision making and thought process. Whether you want to impress co-workers or take your game to the level, Rob can help attain all your golf goals. John has studied the techniques of some of the best teaching pros in the industry such as Butch Harmon, David Leadbetter, Rick Smith, Jim McLean, Sean Foley to name a few. As a CTGF Teaching Professional for two years, beginners will learn golf from the ground up with solid fundamentals. An average to advanced player will get a lesson tailored to their swing concerns. Junior golfers will be learning in a fun and relaxed atmosphere to build a solid swing for life. John uses Video Analysis in all lessons. By using the mental aspects of the game used by the top golfers you will drop shots just by being able to focus more effectively. John is also a Golf Fitness Instructor and a Graduate of the Titleist Performance Institute. Carl Forman has been playing golf for over 40 years. He has a Level II teaching certification from the United States and Canadian Golf Teacher Federations. He was a member of the North Bay Canadore College golf team and has attended the Ben Sutton School of Golf, the Harvey Penick Academy, the David Leadbetter Academy, Dave Lee’s Gravity Golf School, Jim Hardy’s two day One Plane Seminar and the Natural Golf School. Carl has completed the Golfsmith Clubmaking and Repair program as well as the Golfsmith Golf Clubfitting program. 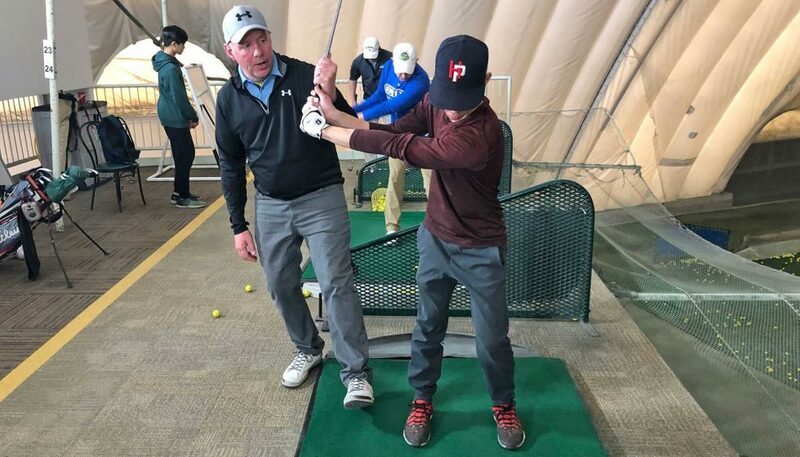 Carl has been teaching in the north Toronto area for the past thirteen years assisting with junior golf programs at the Uplands Golf Course, the Aaron Roc Golf School and the Markham Golf Dome. For three years, he directed his own golf schools and lesson programs at the Fairwood Fairways Golf Centre in Markham. This is his seventh year as a member of the teaching staff at the Markham Golf Dome in Markham. 2019 Golf Clinics Presented by Gary Kent! Click Here for Everything You Need to Know! Call or Text Gary at 416-402-7171, or email info@garykentgolf.com to learn more. *Dates and/or times may be changed at the discretion of Gary Kent. Fostering your child’s enjoyment only means continued growth in the sport. At the Markham Golf Dome we recognize the need for effective Junior Programs. Our junior camps are aimed at introducing kids to the enjoyment of the game of golf. Your juniors will learn about the history, etiquette, safety, skills and techniques needed to play the game of golf. Our focus is to build the self-esteem of our junior player through a fun and exciting program. Summer 2019 Junior Golf Camp - Now Accepting Registrations! * Camp Weeks 1 & 6 are 4 or 5 Days. Call 905.475.3663 for more information!